The first decision made by the Australian Evangelical Alliance (AEA) in 1957 has been hailed as, 'changing the course of Australian history,' when the meeting decided to invite Reverend Dr. Billy Graham under the auspices of the EA to Australia. In the EA bulletin celebrating its 50th birthday, it stated the long-term effect of Reverend Graham preaching in Australia could never be known. At the Melbourne Cricket Ground in 1959, Reverend Graham drew in 143,000 people. In the final show, 150,000 people attended the Sydney Showground and Cricket Ground to hear him preach. More than 130,000 people (almost 2% of the Australia population at that time) made a commitment to Christ. Historian Stuart Piggin used the Australian Bureau of Statistics figures to show a drop in alcohol consumption, extra-marital births and crime statistics during that time. Today the converts who made a commitment to Christ in 1959, is found within the ranks of the clergy and church leadership; with the most well known being Sydney Anglican Archbishop Peter Jensen, and his brother, Dean Phillip Jensen. Other well known convert includes Graeme Pearson, the former chairman of MYOB and current chairman of the Billy Graham Evangelistic Association who wrote that after the Billy Graham Crusader, he made a decision to follow Jesus Christ which has impacted on his family, business and community life. Robert B. Coles, former Coles Myer Director spoke of his experience when at the age of 24, he attended the Crusade and after hearing a second appeal from Dr. Graham about making a commitment to Christ; he ran down to the front where he was counselled and prayed a prayer of commitment to Christ, to which he described as the most important decision in his life. 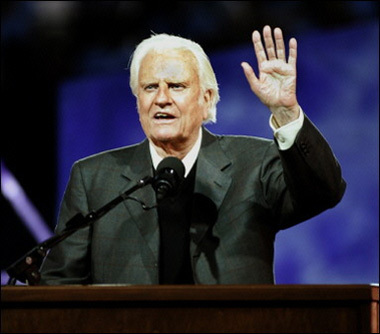 The effect of the Billy Graham tour of Australia still lingers today as its ripples are being felt across every sphere of Australian life.